Hi Guys, We are back with another video. So Kaustubh was in Pune for attending a training session on machine learning by Google. And he discovered a best way of travelling or commuting in Pune. 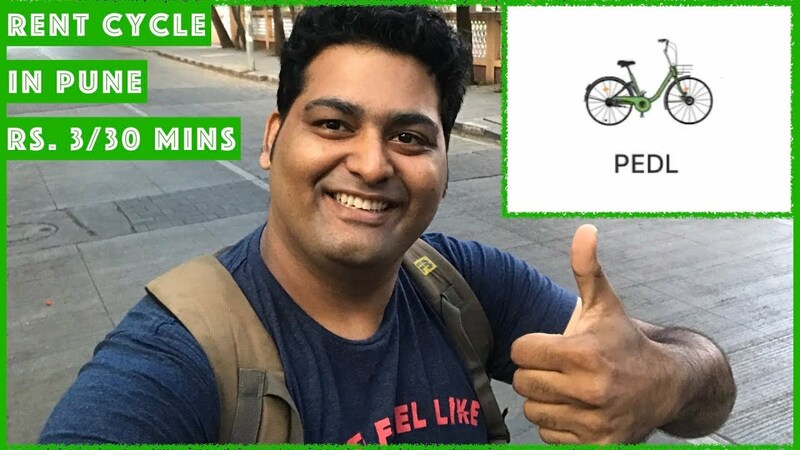 Zoomcar has launched a cycle renting service in Pune called PEDL. You just need Zoomcar app & PayTm account linked to your Zoomcar app to rent a cycle. The cycle rent is super affordable just Rs. 3 / 30 mins. Kaustubh also used similar cycle renting service in New York called citi bike which was $12 / 30 mins which is equivalent to Rs. 820 / 30mins. Now you don't have to be frustrated by autos in Pune , just rent a cycle and off you go. If you like this video please do share it with your friends. And do try it out this eco-friendly way of commuting if you are in Pune. Note : We are not sponsored / paid by Zoomcar to make this video.